The Saint Paul Almanac is pleased to announce the second of its 2011–2012 series of acclaimed Lowertown Reading Jams, celebrating the rich literary history of Minnesota’s capital city. The “Nomadic Expressions” Lowertown Reading Jam will be presented on Monday, December 12th, 2011 from 7 to 8:30 p.m. at the Black Dog Coffee and Wine Bar, 308 Prince Street in Saint Paul. This presentation of the eclectic series, curated by Nimo Farah, features readings by Louis Alemayehu, Nahid Khan, Jake Virden, IBé, Marisa Carr, Abdifatah Farah Ali, Adrienne Maiers, and Hersi. The “Nomadic Expressions” Lowertown Reading Jam is a symbolic night of refuge for artists converging from many different walks of life. We ask WHO ARE YOU? and the artists acquaint us with the incredible stories they carry. They are creative, courageous custodians of tradition. They are educators and organizers who help us reflect on the question WHO ARE WE? “Nomadic Expressionists” are offshoots from diverse cultures whose inspiration comes from across the world, permeating generations and surviving struggles of varying proportions. With their audacity, Nomadic Expressionists take us on a journey through metaphors of native languages and stories from birth places, and share ideas tackling things essential to our shared world. Nomadic Expressionists challenge our minds to be smarter and our hearts to grow wider. Thank you to our artist-in-residence Lara Hanson for her fine work at previous Almanac events, capturing the energy of the events in beautiful paintings! The “Nomadic Expressions” reading jam introduces St. Paul painter Ta-Coumba Aiken as our new-artist-in-residence. Ta-Coumba is the force behind some of Minnesota’s most beloved and acclaimed public artworks, including the Jax/Gillette Children’s Hospital mural, the Minneapolis Central Library’s tile fireplace, and the north side’s Pilot City murals project. Welcome Ta-Coumba! Nimo H. Farah was a community editor for the 2012 Saint Paul Almanac and loves the stories written and shared by everyday people. She recently began writing and has had poems and a short story published in the Water~Stone Review literary journal and the Saint Paul Almanac. An aspiring storyteller, Farah has shared her words at previous Lowertown Reading Jams, at Equilibrium: Spoken Work at the Loft, and at the Late Nite Seriesat the Pillsbury House Theater. Louis Alemayehu, a Minnesota poet, is a product of the Chicago Black Arts Movement. He became rooted in Minnesota to connect with his Anishinabe roots. Alemayehu is the director of the poetry-jazz ensemble Ancestor Energy and the winner of an Urban Griot Award in 2009. He is also a member of the Ethiopian literary organization, Finote-Tibeb. Nahid Khan writes poetry and short stories when the inspiration strikes, and is a member of a writer’s group for people with family roots in the Arab and Muslim worlds. She is a Ph.D. candidate majoring in mass communication at the School of Journalism and Mass Communication at the University of Minnesota, with graduate minors in religious studies and museum studies. Her research focuses on news coverage of American Muslims. Jake Virden is a writer, performer, organizer, and aspiring educator. Performing in the Twin Cities as a poet and MC for six years has provided Jake the opportunity to share space with amazing people from all walks of life. Jake’s passion is participating in popular education as a means of understanding the problems facing our communities and envisioning pathways toward people power. IBé is an award-winning spoken word poet who enjoys writing prose as much as he likes writing poetry—all because he likes putting words to those things he finds so hard to say. He is not the only resident of The Middle of the Atlantic, but sometimes “it feels like it,” he says. Marisa Carr is a poet, performer, musician, and interdisciplinary artist. She grew up in Milwaukee, but lives in Minneapolis. 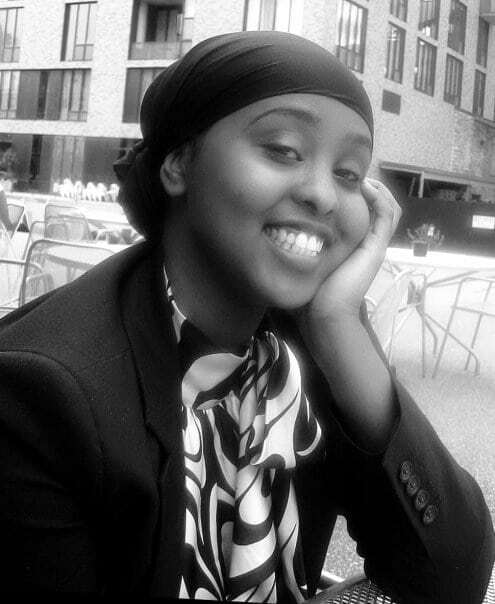 Abdifatah Farah Ali (Abdi Phenomenal) is a spoken word artist, teaching artist, actor, and community activist. He is a student at St. Cloud State University currently studying clinical psychology. Abdi is dedicated to impacting literacy and youth leadership through the art of spoken word to restore peace back in Somalia. Adrienne Maiers is back living in Minneapolis after spending time earlier this year in Nigeria. She is currently collaborating with the Yonic Arts Collective; continuing her daily yoga practice; teaching kiddos dance, music, and health; and studying anatomy. She is a human being and a citizen of the world. Hersi has served in the U.S. military for 4 years, traveled to 22 different countries, and learned to speak three different languages. He is a performance poet, mentor, and University of Minnesota student. Now in its sixth edition, the Saint Paul Almanac features essays, poems, photos, maps, and listings of events, bars, restaurant, theaters, and other cultural venues within a datebook format. Available in full color for the first time and—another first—includes gorgeous, hand-drawn, poster-size, pull-out maps of the City of Saint Paul and Downtown! The 2012 Almanac features 129 stories and 180+ photos. Contributors include literary giants, everyday residents, students, journalists, new Americans, and lovers of Saint Paul who live in other corners of the world. Writers interested in having their work considered for the 2013 Almanac have until December 15th, 2011, to make a submission. Information on upcoming events, how to make a submission, and other Saint Paul Almanac news is available at www.saintpaulalmanac.org. The 2012 Saint Paul Almanac sells for $17.95 online (including S&H) at www.saintpaulalmanac.org, and is available for $14.95 in independent and mainstream bookstores everywhere, as well as at libraries and coffee houses throughout the city. Saint Paul Almanac‘s generous partners and sponsors include the City of Saint Paul’s Cultural STAR program, McKnight Foundation, Metropolitan Regional Arts Council (MRAC), Lowertown Future Fund, Saint Paul Foundation, Mardag Foundation, F.R. Bigelow, Minnesota Humanities Center, Traveler’s Employee Arts and Diversity Committee, Friends of the Saint Paul Public Library, SPPS, Saint Paul Neighborhood Network (SPNN), Black Dog Café, Clouds in Water Zen Center, Twin Cities Daily Planet, and KFAI.